We are proud of where we are today and look forward to empowering more people with autism for decades to come. 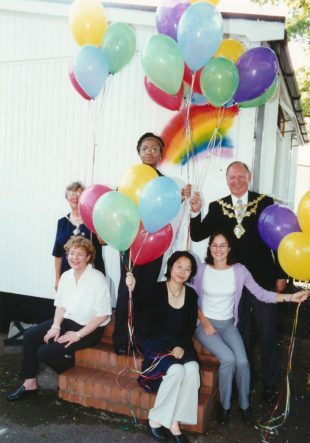 BeyondAutism was founded as The Rainbow Charity in 2000, when a group of parents set up Rainbow School with 3 pupils in a run-down pre-fabricated hut on the grounds of Beatrix Potter School in Wandsworth. Since then the charity has undergone a remarkable transformation, growing exponentially in response to need. We now deliver transformative education to pupils from 16 Local Authorities across London from our Early Years’ service right through to our Post-19 Provision. In September 2017, to coincide with the opening of our newly redeveloped Upper School site, we split Rainbow School into two separate schools – Park House School (Reception – Year 8) and Tram House School (Year 9 – Year 14) under the umbrella, BeyondAutism Schools. “The first Rainbow School was hardly a school at all. It was little more than a hut, kindly lent to us by Beatrix Potter School in Wandsworth. But to my mind it still stands as a symbol: of who we are and what we can achieve through hard work, love for our children and the kindness of friends. The Rainbow Charity and Rainbow School are founded with 3 pupils in temporary accommodation. 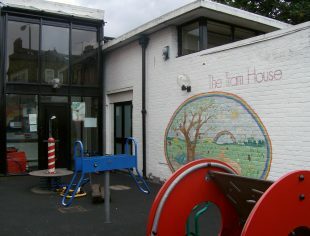 Rainbow School moves into Tram House, a rented property on Garratt Lane. 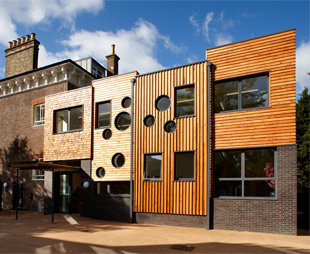 Having raised £4.36m in donations and financing we purchase and complete the Phase I redevelopment of our second school site opposite Spencer Park in Wandsworth. We re-brand the charity to BeyondAutism reflecting our ambition to go beyond the condition, exceed the limits and give families hope. Having fundraised over £570k Phase II works are completed at our Spencer Park site, equipping the school with a multipurpose hall, shower block and space for a library. Fundraising is completed to kit out the library and a soft play and sensory interaction suite. Financing is successfully raised to purchase our Tram House site for redevelopment and our £1.5m capital appeal is launched. 5-year strategy: Empowering People: Launching Lives. The nucleus of our Outreach and Training service is established. In September we launch a pilot of our Post-19 service at Yarrow Housing in Shepherd’s Bush. Our first pilot of an exciting Early Years’ service for children aged 15 months – 5 years takes place in May. In September, Rainbow School becomes two separate schools, Park House School and Tram House School. September also sees the appointment of a new Head of Outreach along with a new structure to include Outreach Consultants allowing us to reach more people. At the start of the 2017/18 academic year our Post-19 service becomes permanent with four learners accessing the Post-19 hub at Yarrow Housing. 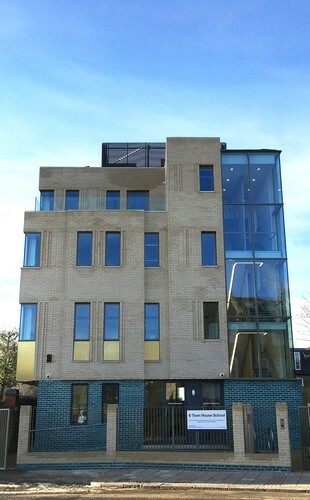 In January pupils move into the newly redeveloped Tram House School. After several pilots in 2017/18, in June our Early Years’ service becomes a permanent provision.